This recipe is cobbled together from a few different ones as but the result was pretty good. We had friends coming over for dinner and I wanted a quick dessert I could make the day before but would look impressive. 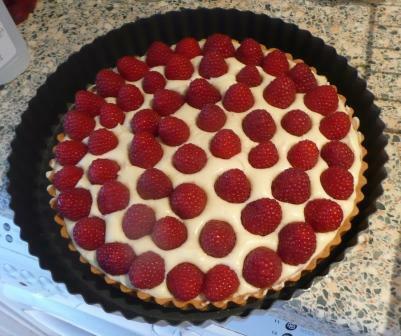 I also wanted to use some of the raspberries from our allotment as they have been very good this year.